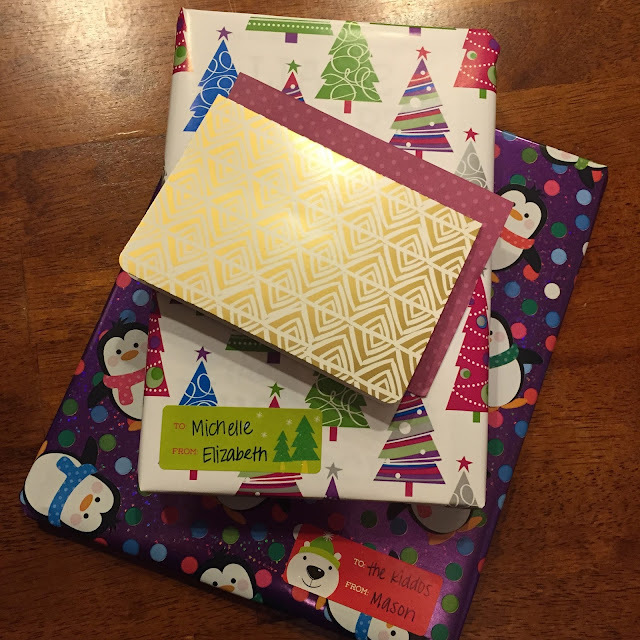 Chasin' Mason: [Secret Santa Mommy and Me Book Exchange] Goodies Revealed! [Secret Santa Mommy and Me Book Exchange] Goodies Revealed! I have a secret. I made the matches for our Secret Santa Mommy and Me Book Exchange so the secret... wasn't so secret to me. Though, I will tell you, I was super excited when I saw that I would be receiving a package from Desiree, Marcus, and Julia. However, even though I knew the surprise, Desiree was still able to throw me off and surprise me anyway! One afternoon, I returned home from work to a package on my door step. I was pretty sure that, based on the size of the box, that it was our Secret Santa presents. BUT then I looked at the return address label and noticed that it was from Kansas. And a bunch of thoughts went through my head - did I read the matches wrong? Maybe Desiree wasn't really my partner? I was confused! So I opened the package and was hoping to read the card to find out who it really was from when it had a note to me on it - "open me last". Oh no!!! The suspense. So, I waited until Mason got home from school and we Mason opened our presents. Mason was SO excited to get the package in the mail! Seriously, the kid could not start ripping the paper off fast enough. These are the only good pictures I got because all of the other ones are blurry since he was moving so fast. 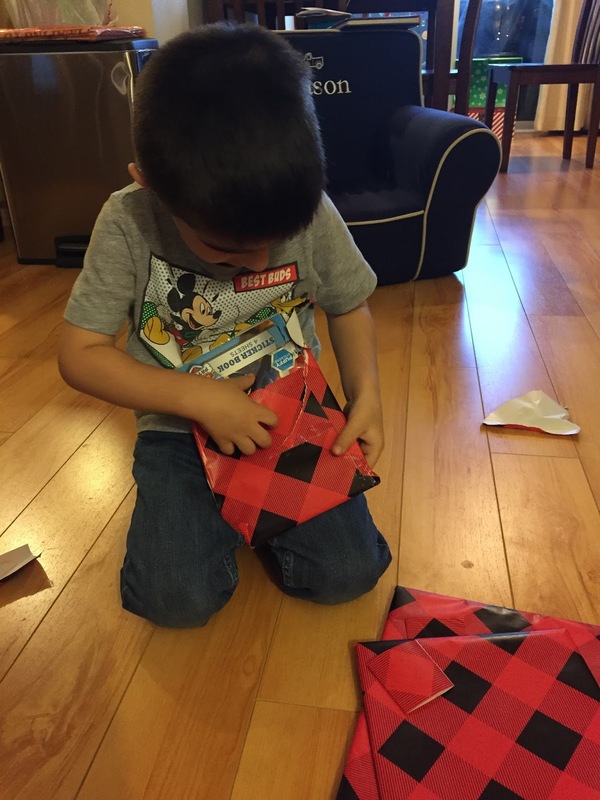 His first present was a Paw Patrol sticker book and a Paw Patrol Magic Ink picture book. Desiree, Marcus and Julia hit the nail on the head with this one! 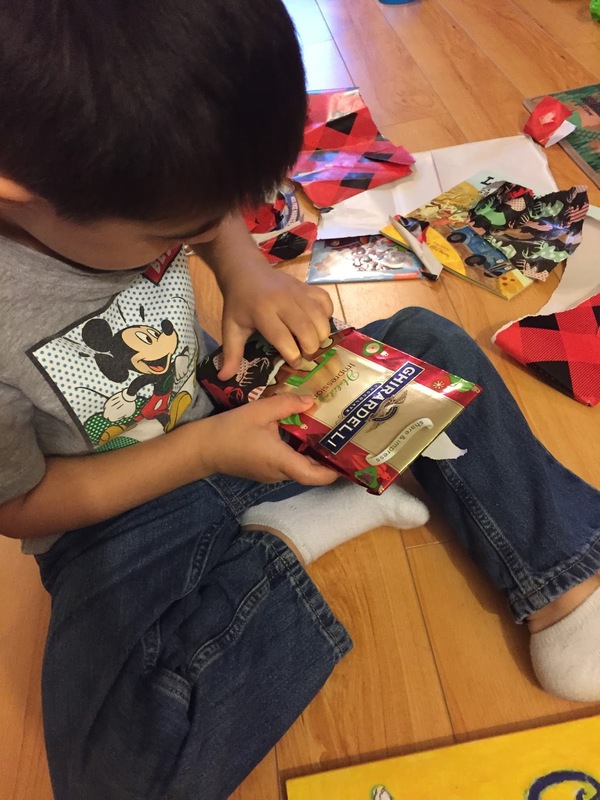 Paw Patrol + stickers = Mason is in heaven! And even better Paw Patrol + coloring with no mess = mom's in heaven too! Though he was so excited about the Paw Patrol present, he quickly moved on and opened the next gift, the Little Blue Truck Sticker Farm Book! This book has been on my list for a while, since we LOVE all the other Little Blue Truck books, so I, for sure, was super excited to see this! The next book was Pete the Cat : I Love my White Shoes and this was an instant hit! We have one other Pete the Cat book and Mason LOVES it and wants me to read it over and over so I'm excited to add another Pete the Cat book to the rotation. 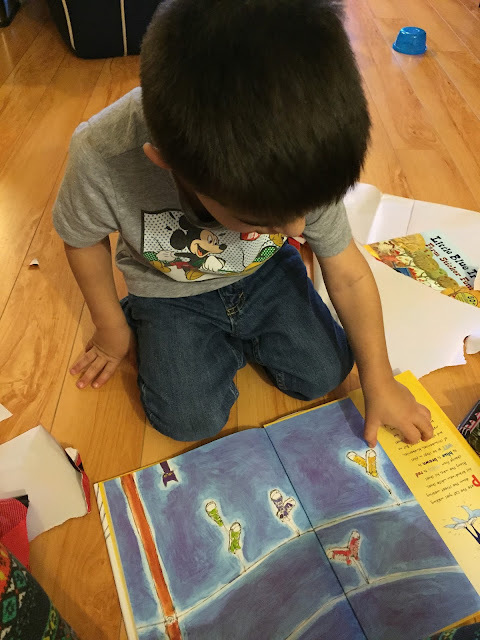 As soon as Mason saw what book it was, he immediately opened the book and started flipping the pages. This book has been a winner since we got it and he's asked to read it almost every night since. And just when I thought that they didn't spoil us enough, the Muddle and Match book arrived on our door step a few days later with a note saying that it arrived too late to ship with the others. Seriously, Mason was so spoiled! And the spoiling didn't stop there! We still had my presents to open (which Mason had no problem being in charge of! ha!). 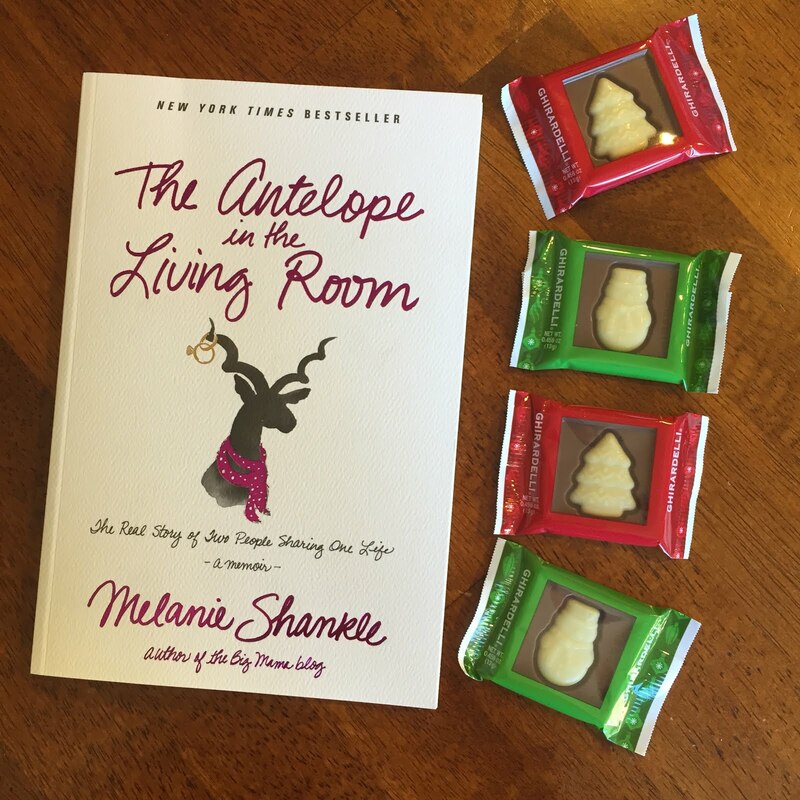 I got the Melanie Shankle book that I was hoping for, The Antelope in the Living Room, and Desiree even included some of my very favorite chocolates... Ghirardelli! YUM. Mason and I can't thank Desiree, Marcus, and Julia enough... THANK YOU!!! We LOVE it all! And Desiree also pulled off an amazing surprise! Even though I knew who my partner was, she totally surprised me when the box came from Kansas. I mean, how sweet was it for her to go on vacation, bring her box, and remember to send it from there just to surprise me?! She's the best! Mason and I were partnered with Michelle and her child. 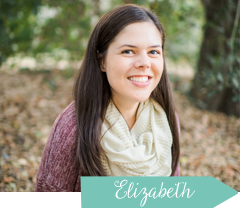 Unfortunately she doesn't have a blog and her Instagram is private, so I can't link you to her, (which in turn also meant that I didn't know her kid's name - eek! sorry!) but I will tell you that we sent her some books that we love ourselves! For the mama, I sent The Husband's Secret. I saw this book originally when I still worked at the bookstore and actually have a copy myself. I rarely have time to read, but one day I hope to be able to read this book. It sounds so interesting! And then for the kiddo, Mason and I chose Olive, the other Reindeer. It's one of our favorite Christmas books and we knew they would love it too! Now, link up with us below and show us the goodies that you got! I'm always looking for new books (at least for Mason's library and for my... collection? haha). Yay!!!! Love how Desiree ended up surprising you!!! Thanks for working so hard on the link up... it was so much fun!! So fun! And I love that Desiree still surprised you! I'm so glad you liked all the books (and chocolate)!! It was so much fun picking everything out for you two! Desiree knows how to send a package!! Yowzer! Totally spoiled you two. I love it! Love all the things Mason got, and that book is on my list. I read the first one...green earrings I think? Sneaky, sneaky! :) I love that she surprised you from Kansas! Mason made out like a bandit!! Great books. She sent an AWESOME package for you guys!!! 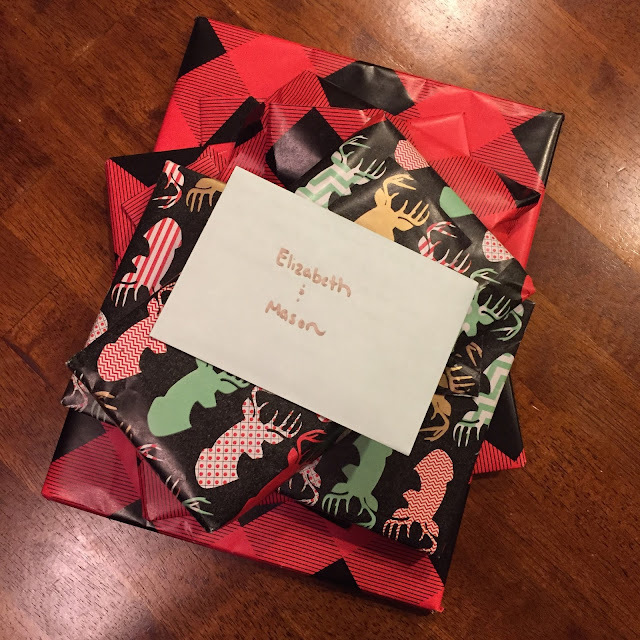 So sneaky that she sent you the books from Kansas! Fun! Mason got some great books, the little blue truck one of our favs. And I have The Husband's Secret in my purse and I carry it everywhere in hopes that I might one day read it...so far I'm on page 10. First off, CUTE wrapping! 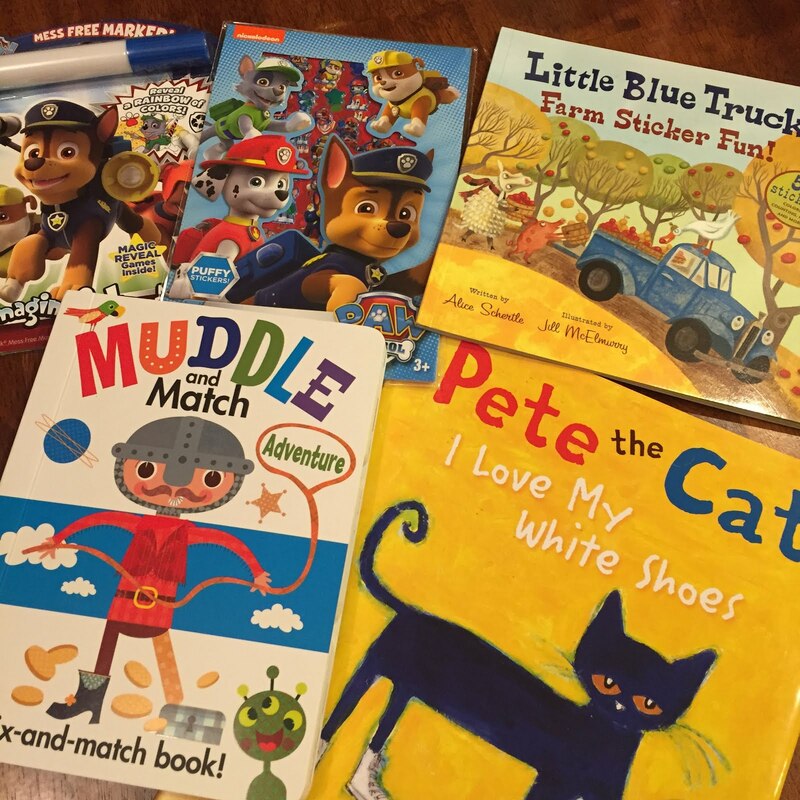 All the perfect books for Mason and you! 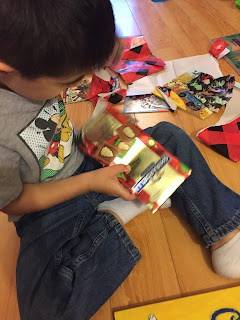 My boys are getting Muddle and Match books in their stocking this year! I have a feeling Ez would love ALL of those books. Such a great package. And huge kudos to Desiree for pulling off the surprise. I can barely get to the post office on a normal day, let alone on vacation, so that was really sweet. Mason's library is going to be everyone's envy after all of this! So much great reading to do! Desiree needs to share where she got that darling wrapping paper from! You guys derserve to be spoiled. Mason's books are all great but I havent read any Shankle books, let me know if its good! What a great bundle and chocolates?! YES! P.S. we are huge Olive the Other Reindeer fans too! Thanks so much for the books!! Gaby loves hers and I can't wait to read mine!! They were perfect! And thanks for hosting the exchange. It was so much fun! Thanks for putting this exchange together again this year- I love this one! :) And wow, did Desiree do great!